American, (Chicago), living in Singapore. Widely traveled for business & pleasure to all UN countries, over 700 distinct geo/ethno/political areas, and over 350 UNESCO World Heritage sites. Currently ranked 50th worldwide by "Thebesttravelled.com" Secondary obsession with total solar eclipses. Intrigued with Progressive design & detailing, Adventure travel, Digital videography, Tribal art, Games & Improvisational comedy. 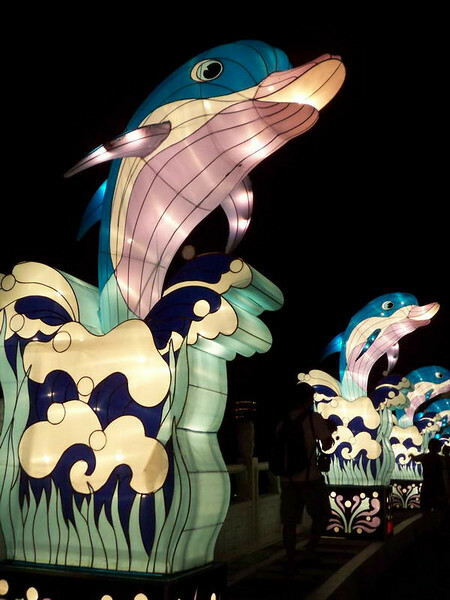 Flipper keynotes the annual lantern festival at the Chinese Gardens in Singapore.